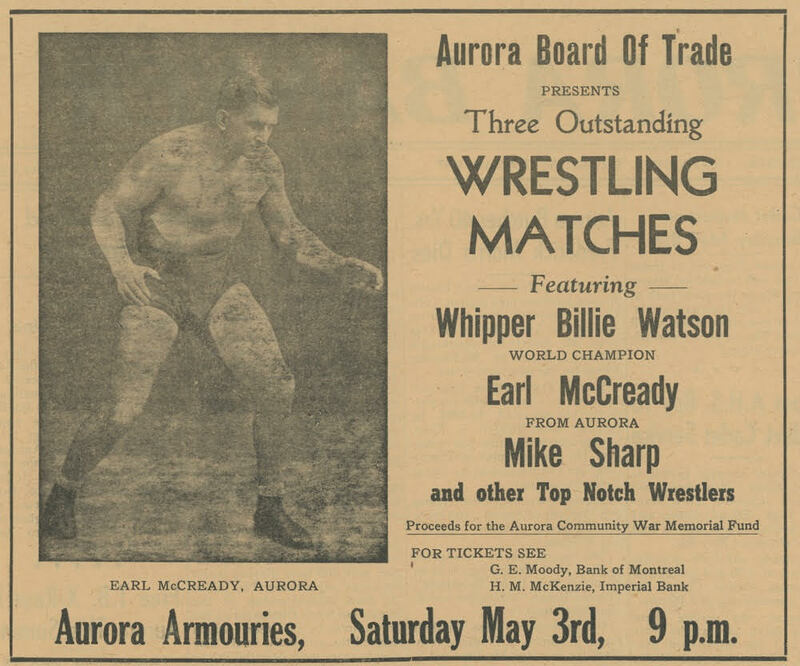 As of May 2017, it has been 70 years since Earl McCready, Whipper Billy Watson and Mike Sharp turned the Aurora Armoury into a wrestling ring. 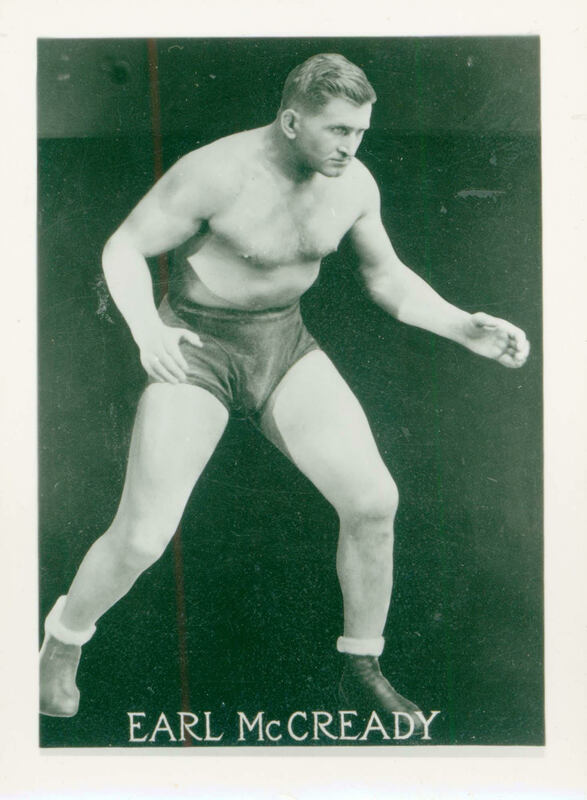 A legend in the wrestling world – and possibly the best amateur wrestler this country has ever produced – Aurora resident McCready (b 1905 and resident of Aurora in the 1940s and 1950s) was the Canadian amateur heavyweight wrestling champion from 1926-28. Earl, whose fighting weight was about 235 pounds, was the flag bearer for Canada in the 1928 Summer Olympics where he finished 6th in the Freestyle Heavyweight class. In 1930 he took the gold at the first British Empire Games, later known as the Commonwealth Games, before turning pro. As a pro Earl fought in matches right into his fifties. To sport and wrestling fans around the world, Earl was known as “The Aurora Farmer”. The story goes that McCready ordered a book on “How to Handle Big Men With Ease” and learned to wrestle from it. McCready would wrestle throughout Canada, U.S., and the Commonwealth. He appeared in Britain’s first-ever televised wrestling match in England. In 1937, Ring Magazine ranked him as the second-best wrestler in the world (behind Jim Londos). While the outcome of that match in May at the Aurora Armoury is not known, Earl did beat World Champion Whipper Billy Watson, who also had ties to Aurora.